Here, broken pieces and forgotten things become alive and functional again. 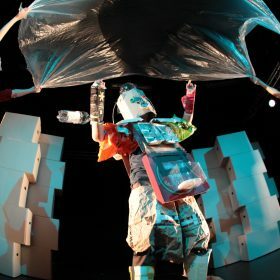 Trash is a world of opportunities just waiting to be discovered – a performance of ​​all those things hiding under the surface, maybe forgotten. An evocative journey with three friends creating their own imaginative landscapes of what people think is junk or nothing. The performance emerged from research work and workshops with children and adults in Havana, Cuba, and schools in Genarp, Lund, Södra Sandby and Veberöd in Sweden. In collaboration with the School of Arts in Lund, Lund’s Municipality and the dancecompany Danza Teatro Retazos in Cuba. 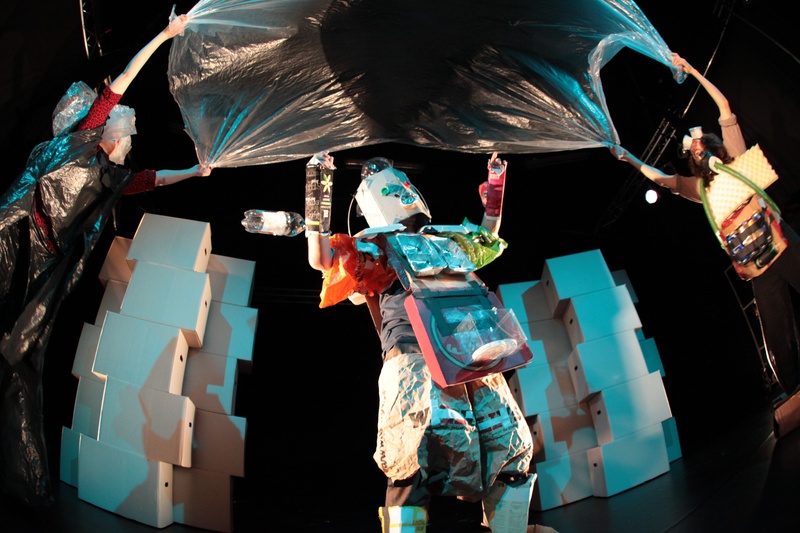 Trash creates a dialogue about garbage and recycling. With the audience’s perceptions and interpretations, the dialogue continued at home or school in a creative and educational way. Teacher’s Guide available! Supported by: the Municipality of Lund, Malmö Culture Committee, Region Skåne, The Arts Council and The Swedish Arts Grants Committee. How can a dance performance about junk be perceived as poetry? In fact it feels like that in Memory Wax’s performance Trash. Evocative, visual and poetic. Three friends create landscapes that can only exist in their imagination. Plastic bags float as if they were clouds, almost alive, shadow play and fantasy figures emerge from piles of garbage. Is it a dream or reality? Premiered in September 2011 at Bredgatan in Lund, Sweden.